These legwarmers are cute & work up quickly. You can make them in any size imaginable, and they're easy to customize for babies/children that have "odd" size legs. For example, my daughter has FAT thighs and skinny ankles, so traditional baby legs don't always fit her well. 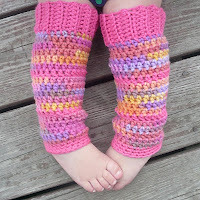 You could even make these legwarmers for children, teens, or adults.... or as arm warmers. It's a versatile pattern! My pink legwarmers were made using Red Heart Super Saver. BEFORE YOU START: You will need THREE measurements from the person you're making the legwarmers for. (#1) The circumference of the calf/thigh. (#2) The length of the leg. (#3) The circumference of the ankle. If you don't want to make them to cover an entire leg, take your top, bottom & length measurements accordingly. Row 1: turn, skip 1st CH, SC in remaining 8 STS. Ch 1, turn, SL ST both ends of the cuff together to form a circle. Round 1: SC in the end of each row of the cuff, join. Rounds 2 - 5: CH 1, HDC in each ST around, join. REPEAT Round 2, decreasing (how to hdc2tog) by 1 ST approximately every 2-3 rows until legwarmer is 1-2" shy of your #2 measurement (leg length). Keep measuring to make sure you haven't decreased too much or too little. You'll need more frequent decreases for smaller legs, fewer decreases for larger legs. If you're going to change colors again, fasten off... if not, just continue on. Round 1: CH 1, SC in each ST around, join. Make sure that this bottom edge is the same as your #3 measurement (ankle circ.) If it's too big, rip out a few rows & do more decreases. If it's too small, rip out a few rows & do fewer decreases. REPEAT Round 1 for 1-2", no decreases. Fasten off. Now put them on that cute little baby & say, "Awww!" I absolutely love leg warmers on my little girl thanks so much, your patterns are so easy to read and I'm actually learning a lot from hooking them up! being a brand newbie to crochet I am still learnng all the time. Can you explain to me what is back loop only BLO? BLO is the back loop of the 2 loops you usually crochet onto, meaning you only go through the back loop and not the both loops. (: Hope this helped! The one closest to you is the front loop and the one furthest is the back loop... When you stitch in the BLO, it gives you that ribbed effect. I used your free pattern for the baby leg warmers and made a pair for my four month old. Thanks for sharing. I am just learning so it was nice to find a project I was interested in that I could follow. 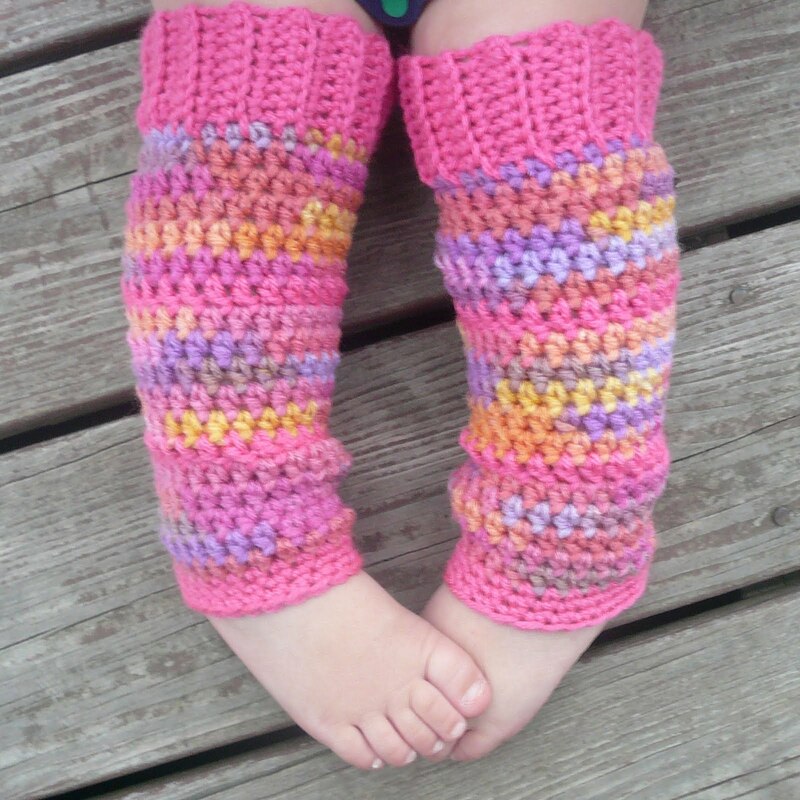 The pattern was easy to follow and the leg warmers are totally adorable on our little one! I think I'll be making some more after I try to make the baby beanie with flower! Hi thanks for sharing the pattern - much appreciated :) Could I ask what yarn you used in the pic - I love the chunky look and the colour mix :) Thanks. 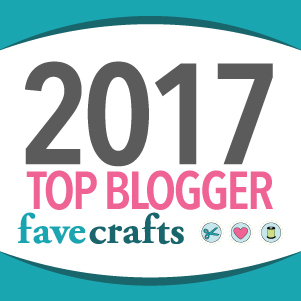 From another newbie to crocheting in Wales, UK. I love this pattern my cousin is have a little girl and I want to make her a pair but I am having a hard time understanding how to join the cuffs with a slip stitch. Can you help? 1. I don't have a standard measurement chart, but I'm sure you could Google baby legwarmer measurements. 2. The yarn in the photo is Red Heart. Going to make some for my girls this winter, I see you used Red Heart yarn, the polyester kind? When you say on the top cuff to sl st both ends of the cuff together, do you do that for all 8 st or do you just stitch up the seam later? I was wondering how to do the decrease? Do I decrease every stitch? I'm a little confused about that? Sorry I'm new to crocheting. I love this, my 8 mo old son is getting ready to crawl and these are perfect for getting around the house ( without pants) I am a little confused about the top part, are we not joining the theigh until the last row and them sewing it together @ the end? Thank you for sharing your pattern. I'm making these, with slight variations, as Christmas presents for my niece, 3, and my nephew 1 1/2. For my niece, who grows in leaps and bounds, I've made it a bit wider in diameter than her measurements and then woven a narrow-ish ribbon through the top. Very cute, and makes it adjustable. The cuff is made horizontally, so when it's the length you want, then you stitch the ends closed... that's when you start working in rounds for the length of the leg. You don't decrease every stitch... you decrease one stitch every other row (or so). You may have to decrease more often than that... or less often than that... depends on the size you're trying to make. Soooo adorable! Love this!!!! I did them and I messed up some where....one leg is perfect and the other is way to big lol Im going to try again! Thanks for your legwarmer pattern,I appreciate you letting us have it for free.I'm a little confuse about the decrease on the repeat rnd 2.Can you please explain it to me.Is my first stitch,or how far do I hdc crochet to decrease.I'm making these for my new little niece. Thank You again. Do you know what the measurements are for this pattern? love this pattern, thanks for sharing. 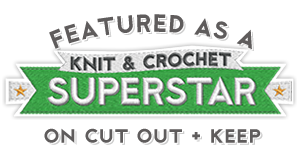 Can I put a link of this patten on my blog? I'm somewhat new to crocheting and I have a question. I did the top cuff and ended with 27 rows. When I started the leg section by crocheting into the end of each row I ended up with 29 stitches. Is that right? I'm assuming I did something wrong because I had 27 rows in the cuff. Any help would be great! Thanks! I am in love! This is the coolest pattern ever! TYSM! These are adorable! I just have a question about the measurements. You mention you need the size of the "thigh", do these go past the knee? If they only come up to the knee wouldn't that be the size of the calve? I'm assuming you measure according to where you want the top of the legwarmer but I just wanted to be sure! oops! just read your instructions :P answered my question lol Thanks!